Another new book to be released just in time for Xmas is INTERIORS: Australia and New Zealand by Mitchell Oakley Smith (with a foreword by David Clark – editor of Vogue Living Australia). INTERIORS presents a broad snapshot of the contemporary Australian and New Zealand home, as told through over 30 of the industry’s leading practitioners. From coastal retreats and ecologically sustainable farmhouses, to renovated Victorian terraces and contemporary city penthouses, the variety of projects showcased reflects the region’s architectural and design diversity. The highly-regarded work of established design practices is richly illustrated through detailed photography and extensive profiles. 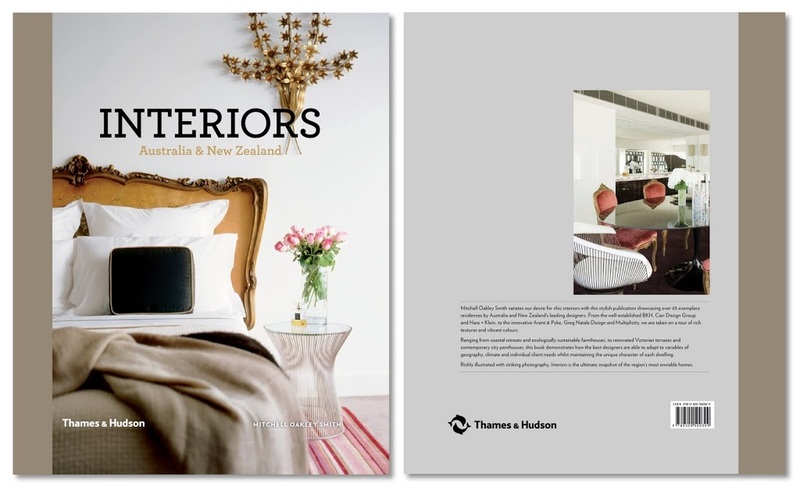 INTERIORS contains over 200 colour images and the industry leaders’ inside spots for the best design, furniture and art around the world. A detailed directory provides contacts for the interior designers and architects responsible for the projects featured in the book. Interest in design is undeniably on the rise. People are spending more time at home, perhaps a result of multimedia engagement and accessibility, or maybe a post-GFC era of reduced spending. 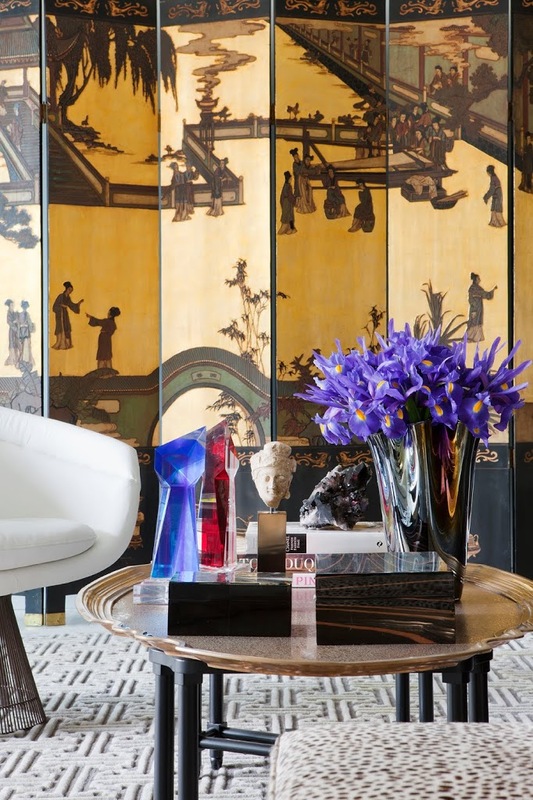 Social and economic climate aside, the television programs, magazines, blogs and events dedicated to interiors and architecture indicate our focus is firmly on residence: the place in which we rest, nest and spend our leisure time. I created Interiors in response to this change with the aim of creating a tangible record of the current period in Australia and New Zealand’s design history. How long did it take you to compile all the information in the book? Unlike my first book, and maybe because of it, this book didn’t take too long to put together. It took 8 months in total. How did you decide which designers/projects to feature and which not to? There’s over 30 designers featured in the book. When I began, I created an extensive list of every designer working in the region and gradually edited down to those I believe are making a unique and creative contribution to the industry today. 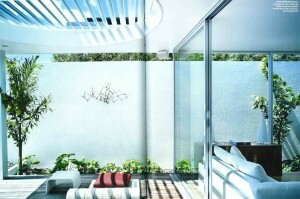 Of the projects featured, the criteria was that they are relatively contemporary and represent the designers’ work. 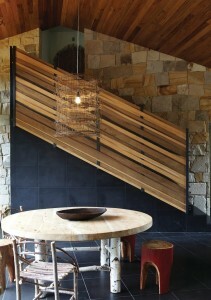 What particularly about Australian and New Zealand interiors do you think is unique and different to the rest of the world? Our local form of design, as made apparent by the book and its subjects, is to serve the population’s lifestyle needs: efficiency, security and a desire for the outdoors and indoors to be seamlessly connected. The use of elemental building materials, including concrete, steel, timber and glass, create an interesting aesthetic, raw and yet refined. This is further defined by a penchant for partial enclosures and for a connection to the surrounding landscape. 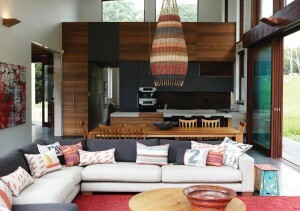 Unlike other regions, Australia and New Zealand have not been bound by history or specific design traditions. Instead, there has been a freedom to cherry pick elements from around the world. 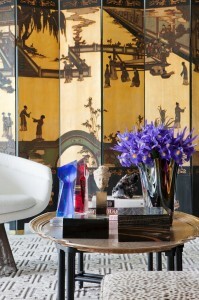 The aesthetic of local interior design is one as broad as the region’s cultural diversity. There is BKH’s cool mishmash of Modernish and decoration, contrasting the relaxed grandeur of Thomas Hamel & Associates, the architectural innovation and commitment to landscape and sustainability of Patterson Associates, and the finely crafted whimsy of Hecker Guthrie. What changes have you seen in the way Australians and New Zealanders design and decorate their homes in the last decade, and what changes do you anticipate for the future? In Sydney alone, the next 20 years will see the addition of over 600,000 dwellings on top of an existing 1.2 million. If Australians weren’t building houses three times the size of the British average, this wouldn’t pose such a significant problem. Fortunately, design institutions are producing graduates of a high calibre and teaching curriculums that emphasise environmental sustainability. Hopefully, in the near future, green design will cease to be an optional, costly extra, but rather a seamlessly integrated element of contemporary architecture and design. Makes me proud to be an aussie! INTERIORS: Australia and New Zealand will be released next month by Thames & Hudson, and will retail for AUD $79.95. Seeing as you were all so patient with me, ta da! Here it is, one of the articles from Urbis that stuck in my mind most. This twin set of houses, identical in mirror image, designed by David Ponting is located in a lovely bay setting in Auckland. The thing that struck me most, apart from their use of mid-century furniture, and the great design – is just how well each of the dwellings lets in the amazing southern hemisphere light – something I, as an antipodean, only really started to appreciate when I moved to Asia. The client brief’s main specification was regarding the close proximity of their neighbours….hence the high walls to the side of courtyards. I think he’s delivered pretty well here, and some. I realise this many not appeal to everyone, but I hope you enjoy! A Minotti sofa mixed with vintage Milo Baughman chairs and sideboard, vintage horse head (all from Flaunt ID), an Armani Casa side table, and other contemporary accessories make for a fresh modern room with character. Love it! 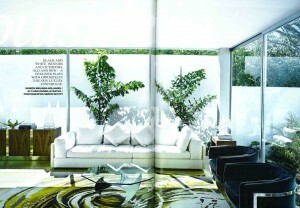 Together, a Curtis Jere wall sculpture (also from Flaunt ID) and a Frame Lounger in rope by Paola Lenti create a a casual outdoor living space. From the opposite ‘dark’ apartment. 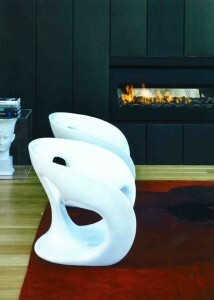 Chairs by Flaunt ID, along with contemporary rug and a head sculpture in a perspex box. 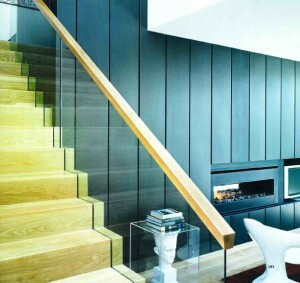 I love the timber panelled feature wall – and that fireplace would be nice and cosy on a cold night in Auckland! 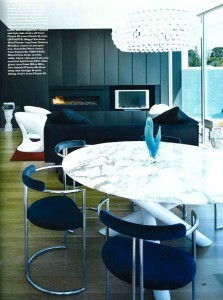 Vandyke dining table from Minotti, vintage french chairs from Flaunt ID, and a Caboche pendant light from Foscarini in the same space. I really cannot speak more highly of the design industry in New Zealand, and have been inspired to either subscribe to Urbis, or hunt down a retailer here in Hong Kong. I hope to be able to show you guys more of what’s coming from the southern hemisphere in the future!